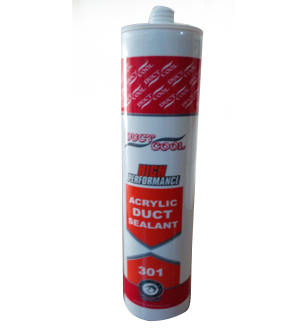 Duct cool 30-36 AF is an economical quality, antifungal, water-based, for Duct Insulation. It is an ideal product for highly humid atmosphere. It is tough, and abrasion resistant. It acts as a lagging & lap adhesive for canvas and glass reinforcing cloth. Due to its excellent flow properties it provides smooth brushing characteristics. Duct Cool is fire retardant, aqua based, vapor barrier sealant for low, medium, and high pressure or high velocity- metal, fiberglass and flexible heating and air conditioning air ducts. It is highly elastic in nature. It has excellent adhesion to metal, aluminum, etc. This exhibits excellent strength, flexibility and resistance to heat and cold. It performs as tough and flexible adhesive and sealant, forming a durable seal against air leakage. 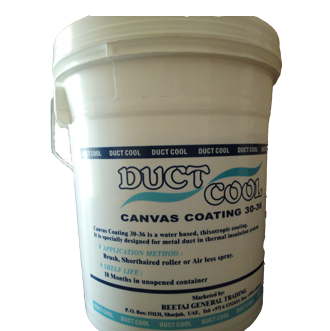 Duct Cool does not contain Asbestos, Lead, Mercury or Mercury Compounds.